Dog are at risk across the country. Municipalities, building owners and private people are trying to kill homeless dogs – or make life uncomfortable for guardians and their pets. Poison, much of it deadly to other animals and even humans is spread in front of buildings, on sidewalks, and anywhere else where people and animals walk. Much of this is in public spaces and poses a risk to anyone in the area. Animals often suffer when the proper systems are not in place – and often killed as the solution. Killing is never the answer, and won’t result in any long term improvement. Instead, the killing is repeated over and over as new dogs are abandoned and those that are on the streets breed. Municipalities do not ensure pet shops and breeding facilities are registered and regulated. Municipalities do not require owned dogs be registered. Municipalities do not require responsible guardianship, or enforce even the small provisions that exist. These three points are described in the World Organization for Animal Health recommendations for stray dog control, and detailed in the Animal Protection and Welfare law. Lebanon should be following these recommendations as the country is part of the World Organization for Animal Health, and we are working to get the Animal Protection and Welfare law approved in Parliament while there is a small chance. When these aspects are not regulated it is normal and expected to see more homeless dogs. Owners abandon their dogs when they get bored of them or cannot afford them, usually just throwing them outside the house or dropping them on the side of a road. As animals are not registered, there are no deterrents to stop owners from doing this. Lost dogs also suffer as they are much more difficult to identify as there is no registration, and they often face abuse or death. Pet shops sell animals to anyone willing to buy. These animals are often sick, come with fraudulent documents, and are kept in horrible conditions. They are tied out front, locked in tiny cages with other species, a lack of food and water, and many visibly sick. A couple times a year stolen pets are even found, and have to be bought back or taken with force. Everyone who keeps dogs have a responsibility to be a good guardian. 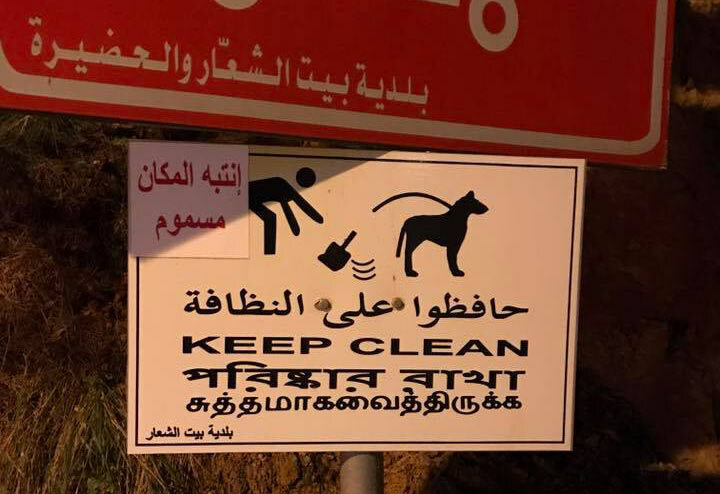 Certainly people should clean up after their dogs, always keep their dog on a harness or leash when in public, and reduce any behaviors such as barking that can disturb others in the area. People who keep dogs should never give a reason to those who complain or dislike dogs and instead should be the best advocates for dogs. Even the best guardians can never make up for a lack of regulation. Poisoning is never the answer, it causes huge amounts of suffering. There are humane, proven methods that bring long term improvements for people and animals. There are also organizations and government bodies ready to help. It only takes one municipality to have the will to make the necessary change.